LSU INF Christian Ibarra gets ready to swing at the pitch. 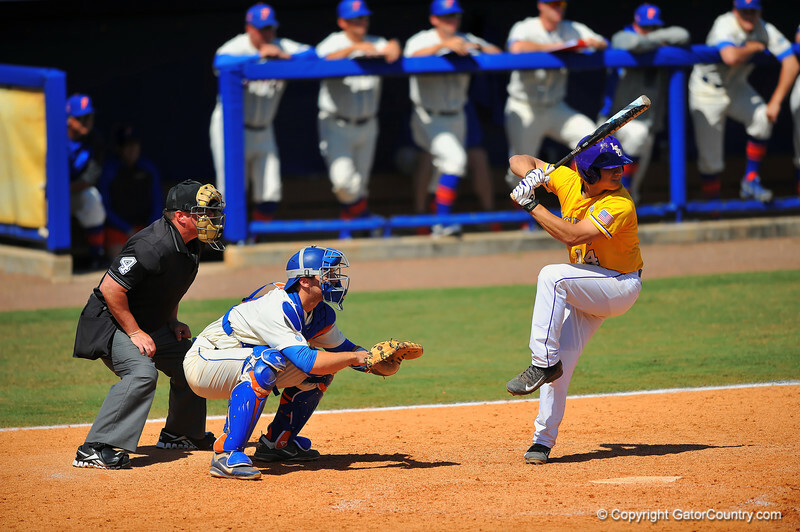 Florida Gators vs LSU Tigers. March 30th, 2014. Gator Country photo by David Bowie.